it's an easy question....about buttons! 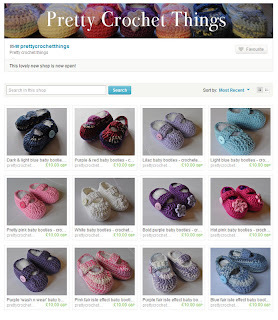 In my online shops I sell lots of buttons. In my craft room I sew with a lot of buttons. But what is the best way for YOU to buy buttons? 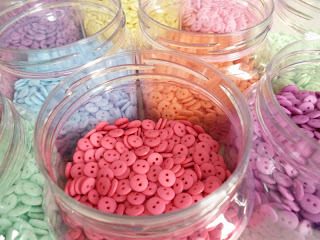 Do you prefer Pick n Mix, where every button is available individually, or do you prefer Mix bags which contain a set number or weight of buttons for a set price ? Or perhaps you'd prefer both options to be available....???? 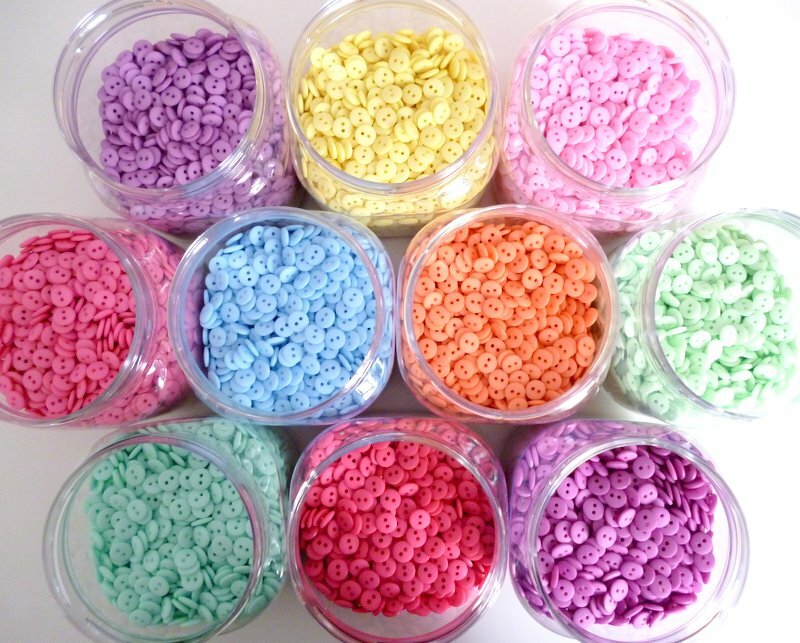 Answer 1 : I prefer pick n mix! Answer 2 : I like mix bags, it's quicker to shop! Answer 4 : an answer I haven't even thought of yet! I'm excited to read your replies! Back in February when I went to the trade fair I went looking for something a little bit special. 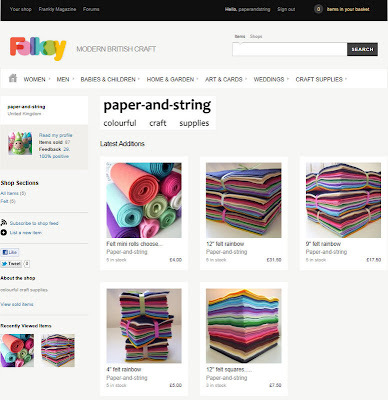 Something that isn't for sale everywhere, something that will make your craft projects a little extra special. These buttons are just what I was looking for! They had to be forward ordered (which is why they were only delivered yesterday) and they are a strict limited edition, never to be repeated or ordered again. They are a little bit more expensive than the products I usually choose, but they are also a little bit higher quality too, so they are definitely worth it. The Crystal Clear Flowers are available individually, and the other flowers, 2-Hole Matts and 4-Hole Glossys as mix packs. * the very boring things are actually going to lead to very exciting things, so really they aren't that bad, and I shall tell you all about it as soon as I can! I've just been updating the website...lots of new supplies have arrived, some are a tad Christmassey, but if recent orders are anything to go by then Christmas crafting has already started! AND the wooden hearts are back! hooray! PS the wedding was AMAZING! Lovely people, lovely food, very generous hosts, gorgeous weather...and a bride and groom that are so happy, and so obviously in love, perfect! I love my teeny tiny buttons! after my felt (of course!) they are a top seller ... and because they are dyed especially for me, to my exact dye recipe, it gives me a little buzz every time a pack is sold .... and when I'm running low it's never a chore to sit for an hour or two and count, count, count until lots more packs are packed! so imagine my joy today when one of my bestest customers emailed me the links to her new Etsy shop and blog, to show me her teeny tiny crotched baby bootees, adorned with my teeny tiny buttons! Wow! I am loving this mini heatwave we are having...the sun is pouring through the windows & the little breeze (and the fan!) are keeping me cool whilst I work, I hope the sun is shining where you are too! I've been re-jigging my felt flower pack colours and have just been photographing and then updating the website with them. Some new ribbons have arrived! They are slightly wider than my normal size of 1/2", coming in at 5/8" (15mm) which means they have even more room for Big Bright Patterns on them~perfect for all sorts of cheerful projects! Last night I finished 15 bird brooches, all of which are destined to be worn by 15 hens on a customer's hen do! I've made the bride's brooch extra special by adding a ribbony tail and two teeny tiny heart buttons! Next Job? finishing off the packaging and wrapping it all up ready for the post. 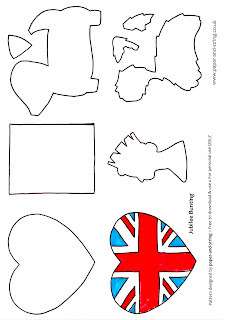 There are only a few Jubilee craft packs left...they will be taken of the website tomorrow so hurry if you'd like to order everything you need to make your very own bunting! 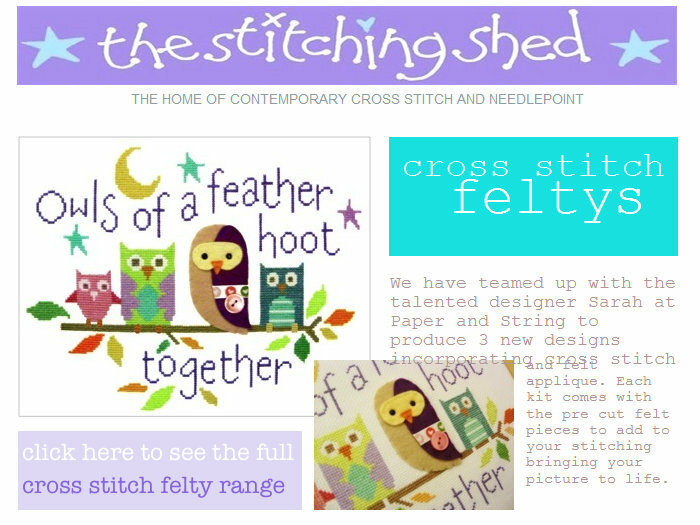 I've had a Folksy shop for AGES...but a while back I neglected it and it all got deleted ...it's been on my to do list to re-do it for a while and finally I've made a start...a small start of 5 products so far, but if I try to list a few a day the shop will soon be full! 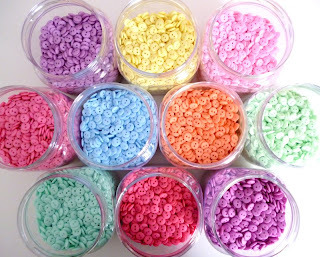 *ahem* I mean, whilst working really, really hard sorting out my new button stock ! The flags are scalloped, two layered flags, some are embellished with Jubilee ribbons and buttons, and some have special jubilee appliques. 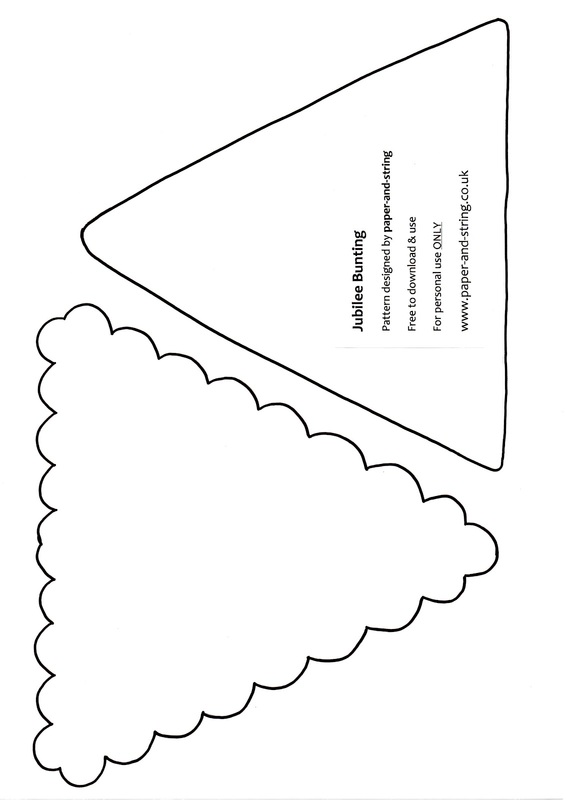 There aren't any formal instructions for constructing the bunting, use the pictures as guides for colour/embellisment ideas and use the patterns to cut, cut, cut and then sew, sew, sew. 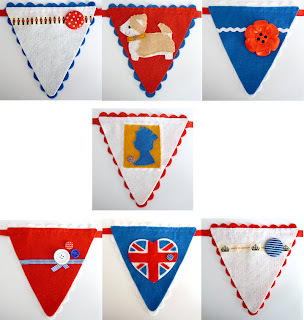 I made 7 flags and the bunting measures 2m in total. 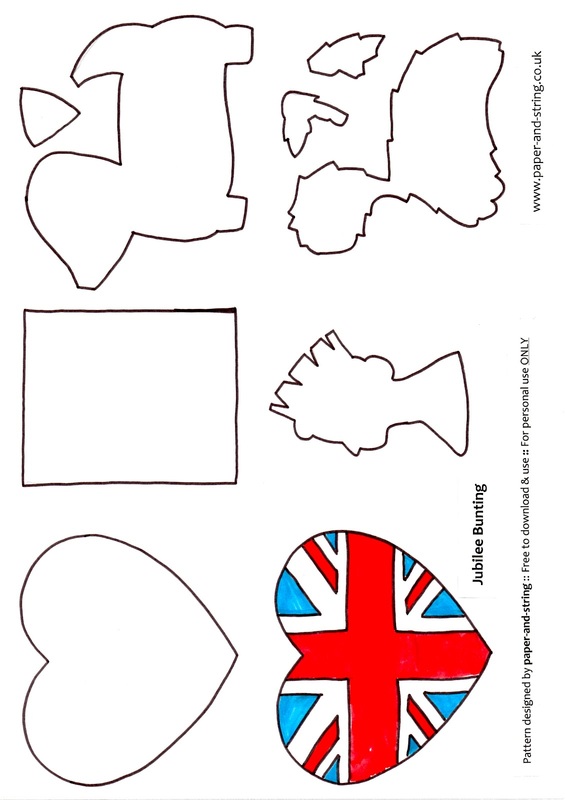 If you'd like to join in and make some Jubilee Bunting too I'm pretty sure most of you will have everything you need, but just in case I have put together a selection of Jubilee goodies so you can make your very own set for just £10!...it's a limited offer so get in quick if you want a set! 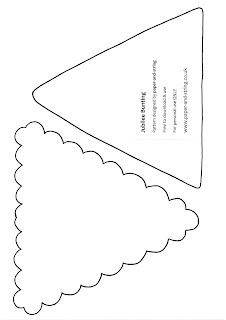 I'd love to see some photos of bunting if you do make some, we could have a little gallery here on the blog on Jubilee Day! thank you so much for the chance of winning this adorbs kit! Sweet kits. I adore them! I can't get enough red, white & blue!! 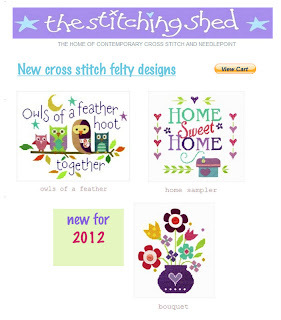 This month's freebie is for something a little bit different ... Cross Stitch Felty Kits by Jayne @ The Stitching Shed. I was lucky enough to see them stitched and framed when I went to the NEC (remember?) and now I am super lucky to be able to share them with you! 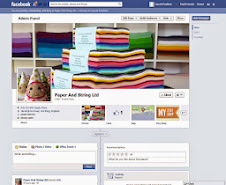 Rules: freebie opens today Thursday 3rd May 2012 and will close Wednesday 9th May. 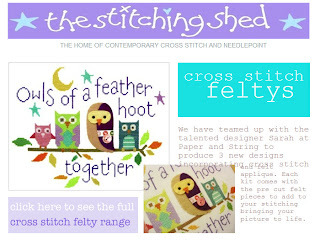 Prize: Three winners will each win a cross stitch kit. As always I will post the prize worldwide.